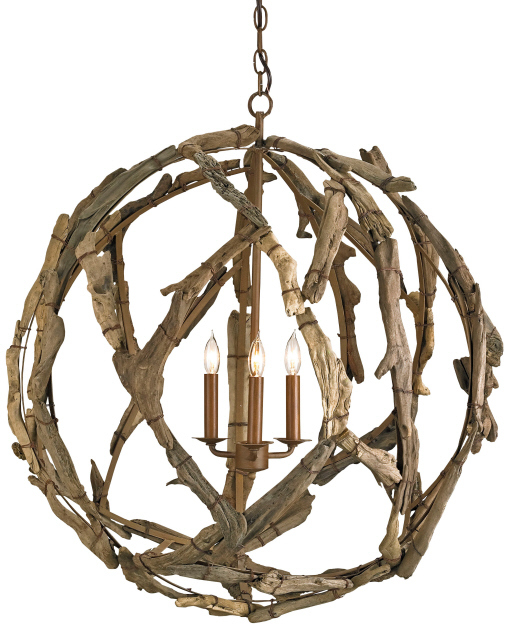 Driftwood Orb Chandelier measures 29"W x 31"H and features three lights. 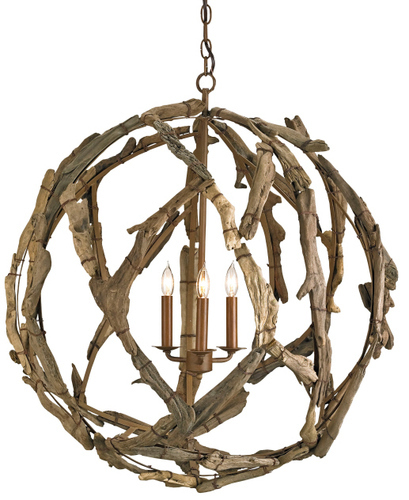 This impressive orb is created from a wrought iron framework that is covered with driftwood pieces. Each small piece of driftwood is carefully selected and painstakingly wired to the framework. Therefore no two pieces are ever quite the same. The driftwood is left in its natural state so no further finish is required. The chandelier takes (3) 60 watt candelabra bulbs for a total wattage of 180 watts.